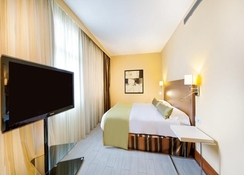 Bull Hotel Astoria is a 3-star family friendly hotel located to the north of Gran Canaria in Las Palmas. Boasting of a strategic location, this property provides amenities filled guestrooms with warm hospitality to provide guests a comfortable stay experience. The hotel is good value for money and excellent for solo travellers, couples or families for work or leisure. Minute’s away from the La Canteras Beach, there are numerous shopping, dining and entertainment avenues available close to the hotel. A lovely outdoor pool, a buffet restaurant, free Wi-Fi and a well-equipped gym are some of the facilities provided for guests to have a relaxing holiday. The 3-star hotel located in the commercial heart of Las Palmas, adjacent to the financial district and the Playa de Las Canteras beach. 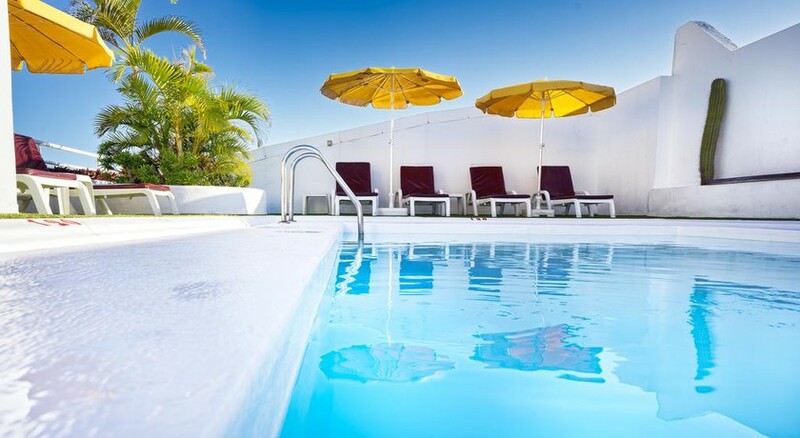 The hotel is about 3km from Centro Comercial Las Arenas and 2.7km from Poema Del Mar Aquarium. The Gran Canaria Airport is about 26km from the hotel. Bull Hotel Astoria offers three different accommodation options, meant for solo travellers as well as those with multiple companions. The rooms come in types of single room, double room, deluxe double twin rooms, superior room and Habitación promo. The rooms are furnished in a contemporary manner, with single or twin beds and contemporary wooden furniture bed linen, chairs, tables and other amenities. Bull Hotel Astoria has a buffet restaurant that serves breakfast, lunch and dinner. The hotel can sit 200 guests at a time. Expert chefs prepare local and international delicacies made with the freshest and finest ingredients. Breakfast is served during 8am – 10am, lunch during 1pm – 3:30pm and dinner during 7pm – 9:30. There is also a lovely Terrace Bar on fifth floor where guest can relax with a drink. Bull Hotel Astoria has a solarium and swimming pool, and a leisure centre which has several relaxation facilities such as gym, games room and Wi-Fi lounge. There is Terrace Bar which serves exciting drinks and cocktails. There is also a meeting rooms capable of seating 50 people. Here one can hold meetings, master classes, official examinations, conventions, training sessions, etc.